What is a Multilateral trading facility (MTF)? Multilateral trading facility or MTF is a regulatory term in Europe for non-exchange financial trading venue. A non-exchange financial trading venue is an alternative to the more traditional stock or futures exchange. For example, forex is often traded over-the-counter with no centralized trading exchange. However, orders can be executed and matched at an MTF venue. An MTF works in the same way as a stock or a futures exchange and brings together buyers and sellers. In the United States, it is also referred to as an Alternative Trading System. A multilateral trading facility or MTF can be used as a stand alone entity to the stock exchanges. An MTF isn’t as complex as one might think and one of the simplest examples is that of LMAX Exchange, which is allows forex trader access to CFD trading, by means of offering the investor access to a number of assets available for live trading. There are a number of benefits of using or day trading with an MTF venue and can be used to trade different assets, including foreign exchange trading. 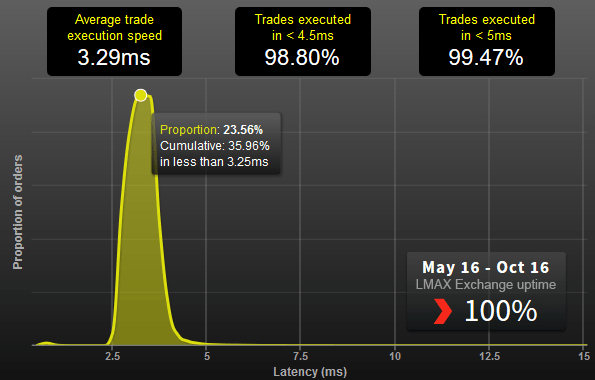 MTF trading also allows for best execution via low latency, which is ideal for retail traders who can open a live account with an MTF such as LMAX exchange and access a number of assets including Indexes and other securities. An MTF exchange is not to be mistaken as a market maker however as it is a venue only and allows online trading access to both traders as well as other market participants. MTF’s that are available now a days are mostly regulated by the financial regulation bodies such as the Securities and Exchange Commission (SEC) in the U.S.
Operating an MTF, according to the legal terms is defined as an investment service. The concept of MTF was defined in the Markets in Financial Instruments Directive (MiFID pronounced as mee-fid), which is a European financial regulatory framework to offer retail investors, protection and allows investment firms to provide services. MTF’s were devised as a way to promote healthy competition between the traditional exchanges and the alternative trading venues. As you might know, a “Regulated Market Status” is considered a Gold Standard as far as trading venues as concerns. Think of MTF’s as a smaller version of the NYSE or the NASDAQ exchange. Ok, so far we know that an MTF is kind of an “exchange lite” which is regulated, but what is the benefit for you as a trader? An MTF such as LMAX is neutral to its members, meaning that the orders are simply passed on to the order book and matched with buyers or sellers. This might seem similar to an ECN, but if you go into the technical details you will find that an MTF is a better option. Read this article on the difference between ECN and MTF. Besides the point of being a neutral venue, MTF offers the distinctive advantage of trade transparency and speed. Below are some of the quick pointers on the benefits of trading with a Multilateral Trading Facility. The EU’s MiFID rules clearly outline the guidelines MTF’s must follow. MiFID offers a waiver for pre-trade transparency in case of large-in-scale orders. In other words, participants with large trade orders are exempt from publishing their pre-trade price. For example if an MTF exchange member wanted to buy 100 lots in EURUSD as a certain price and they were trading at an MTF, they are not required to publish their pricing. Quick Fact: Did you know that as of 2016, there were 151 MTF’s identified to be operating in continental Europe and the UK? What is pre and post trade transparency? Trade transparency, pre or post trade sounds exactly what the name implies. Operators of MTF and other trading venues are required to make public the current bid and offer prices including the depth of the trading interests of the prices. Post trade transparency on the other hand means that the venue or the MTF must publish in real time the price, volume and time of transactions. In other words, every participant of the MTF is able to see how much of volume was traded at what time and at what price. A shopping receipt is nothing but your post-trade transparency, records price, quantity, time and venue. How does this benefit you as a retail trader? When you go to a store and buy a T-shirt that you know costs you $15.00 and when you go to the cashier to pay, wouldn’t it be in your best interest to look at how much you are billed at? In trading terms, this simple thing that we do every day, whether you buy a T-shirt or a car is nothing but trade transparency. For example, your broker might advertise themselves as an ECB broker and playing on the fact that they are not the counter party trade. But how can you or they prove this? A post trade receipt, which is available on request with MTF’s such as LMAX, shows you the venue where your trade was executed, the quantity, time and price. Try asking your current broker this information and see what response you get! Why choose to trade with a Multilateral Trading Facility? Choosing to trade with an MTF venue is of course in your best interests if you are a professional trader (with a trading capital of $10,000 and more). For the average retail broker, it doesn’t really matter how their trades are executed and some might even accept slippage as a lesser evils of trading. 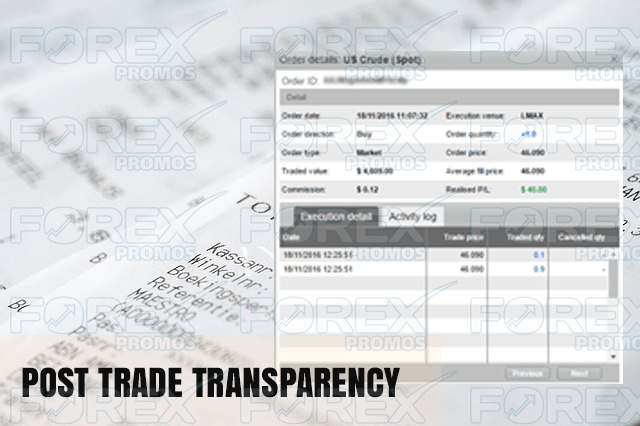 But for professional traders where the price quoted and the price filled matters or how their trades are executed matters, an MTF trading offers a lot more transparency than the average retail broker. Furthermore, the spreads you get when trading with MTF is also of high standard and not just during usual trading hours but also during abnormal market conditions as well. As far as Forex traders are concerned, LMAX has become the de-facto MTF for trading forex and commodities, offering competitive spreads, no mark ups and no trade intervention. If you are a professional trader and looking for the right forex provider to trade with, try out LMAX. PrevWhat is happening to the bond markets after a Trump victory?